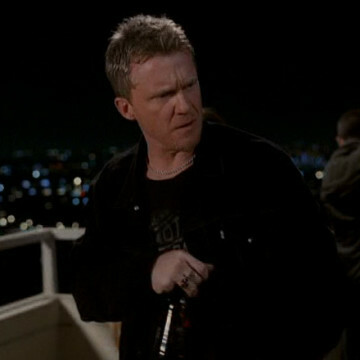 Anthony Michael Hall cameos in season four’s second episode, The First Cut is the Deepest. He compliments Lloyd’s sweater vest and then proceeds to pee off of the balcony of Vince’s hotel room during his short appearance near the end of the episode. Anthony played the part of Mike Engel in The Dark Knight and portrayed Microsoft co-founder Bill Gates in 1999’s Pirates of Silicon Valley.